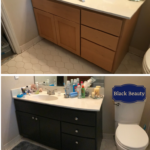 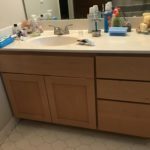 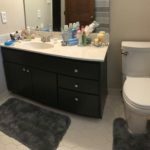 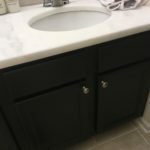 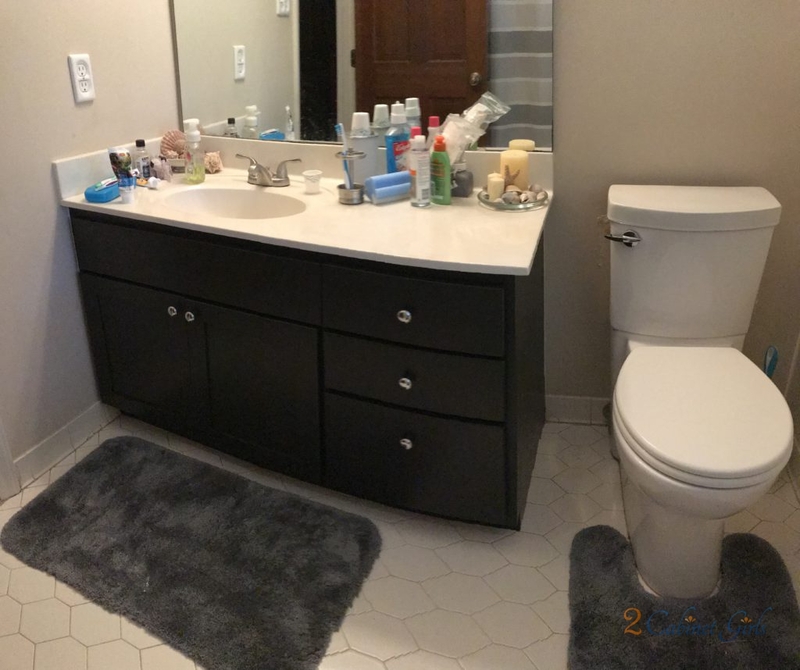 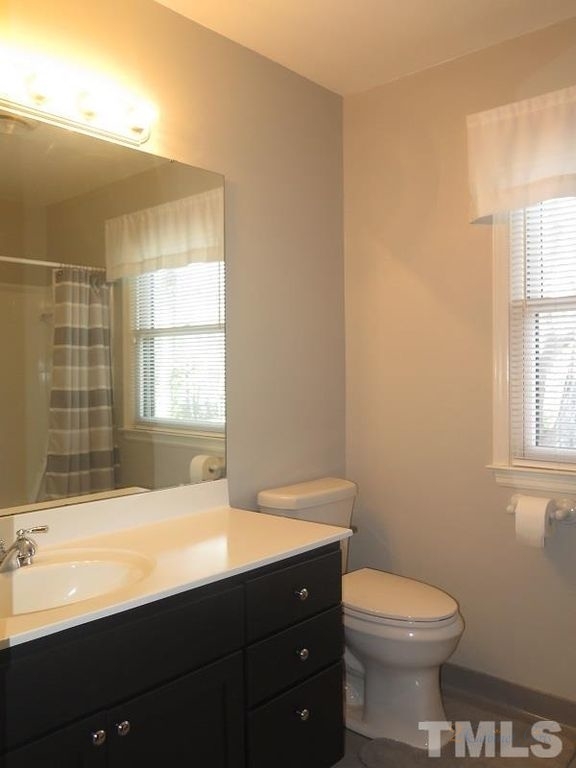 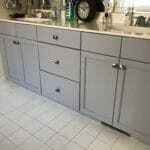 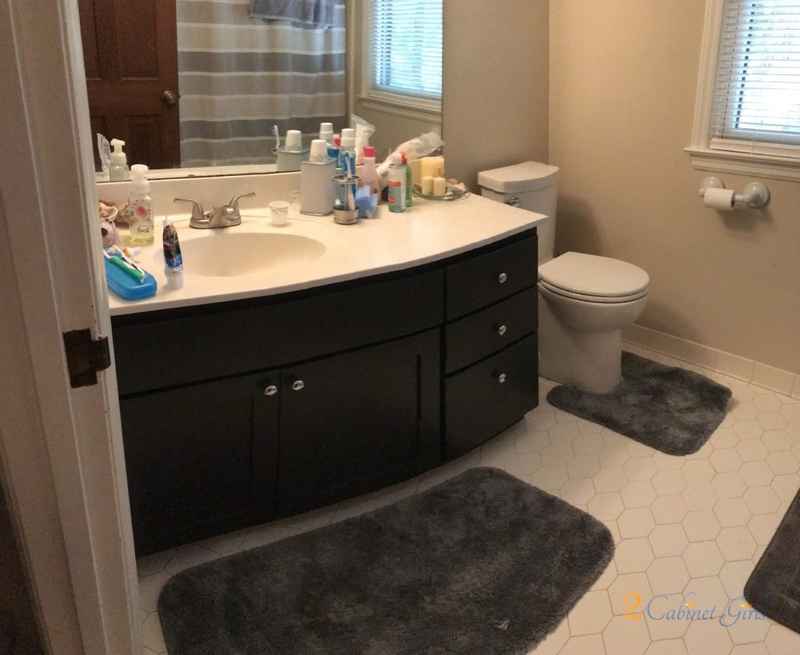 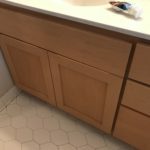 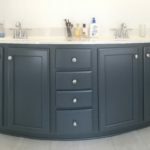 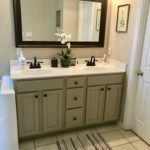 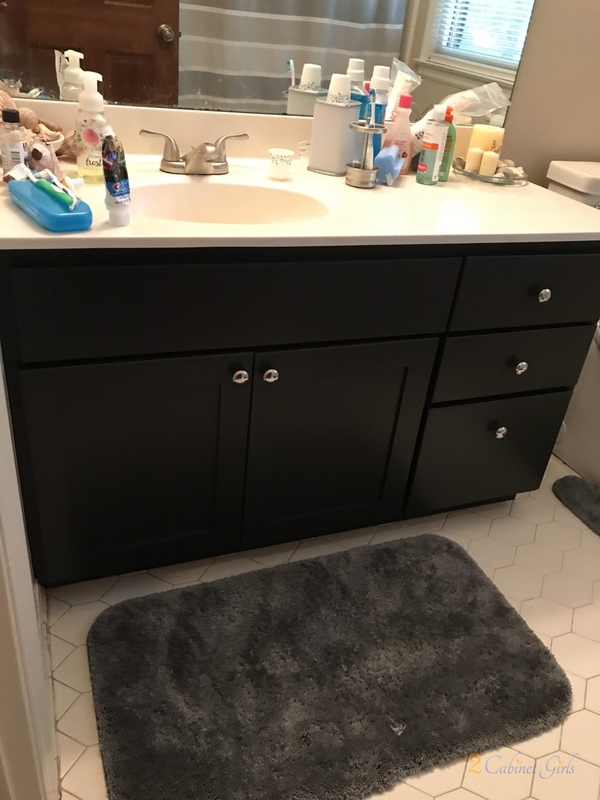 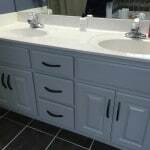 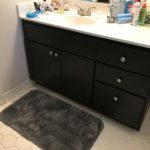 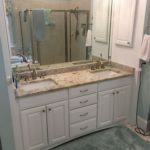 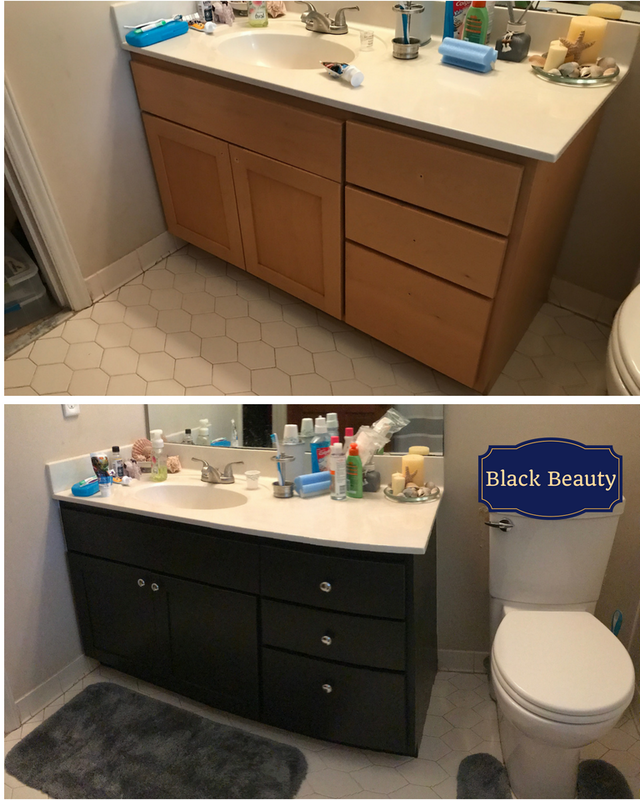 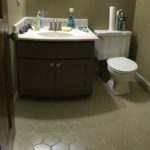 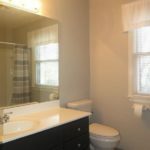 Sometimes, just neutralizing the color of your bathroom vanity, can make all the difference in the world. 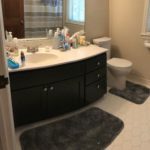 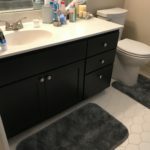 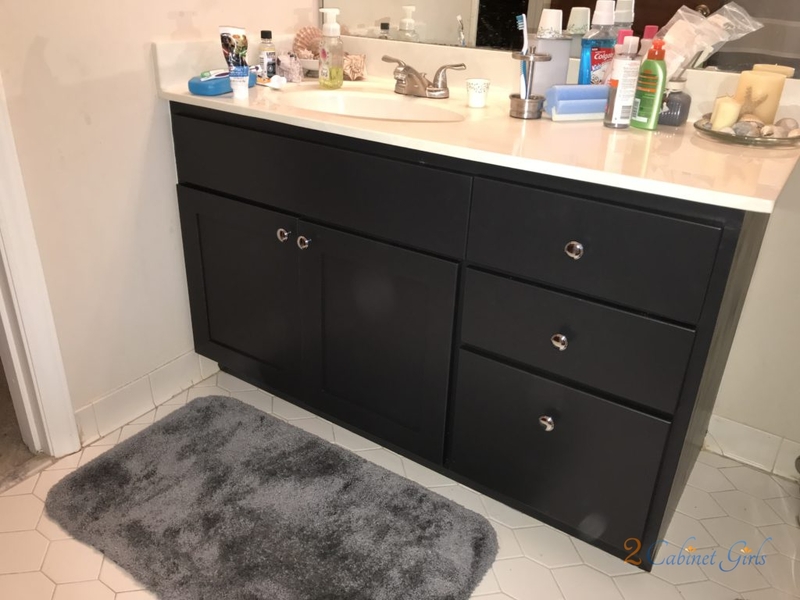 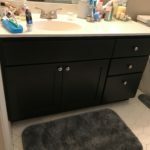 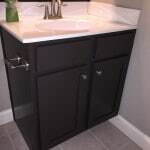 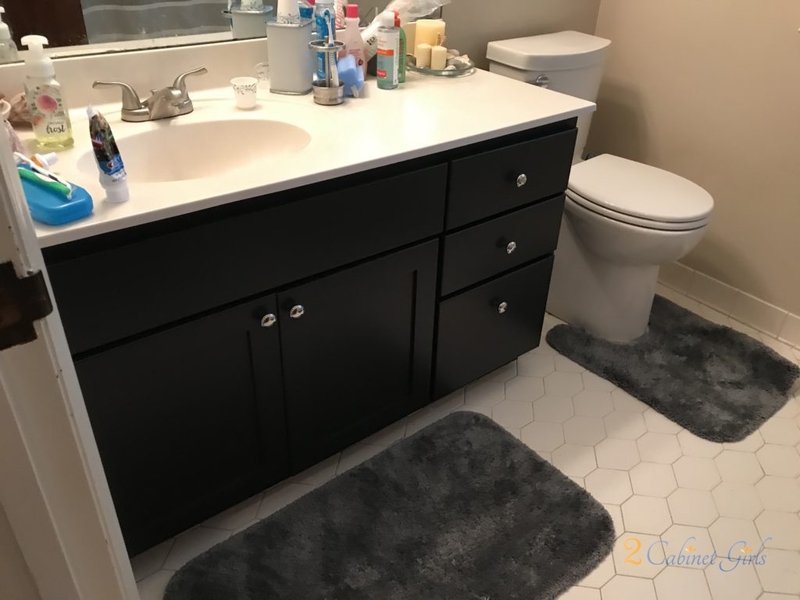 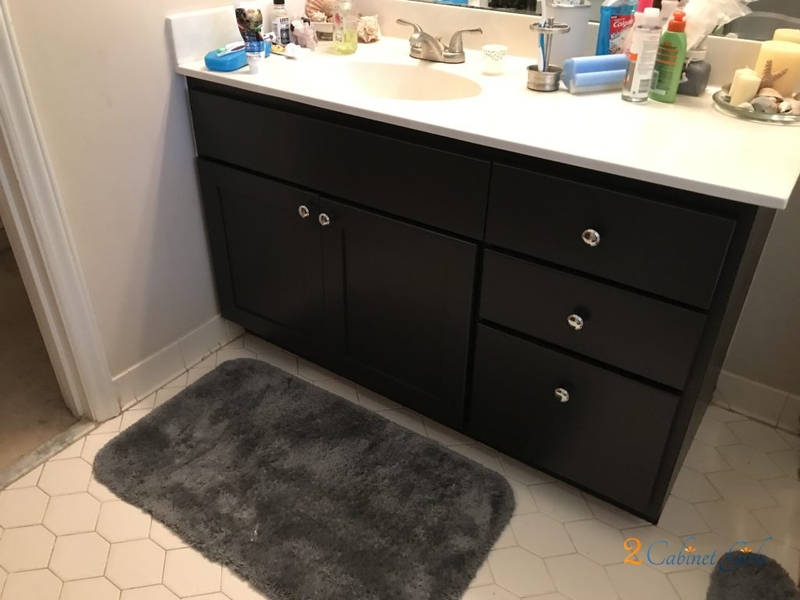 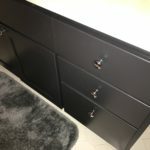 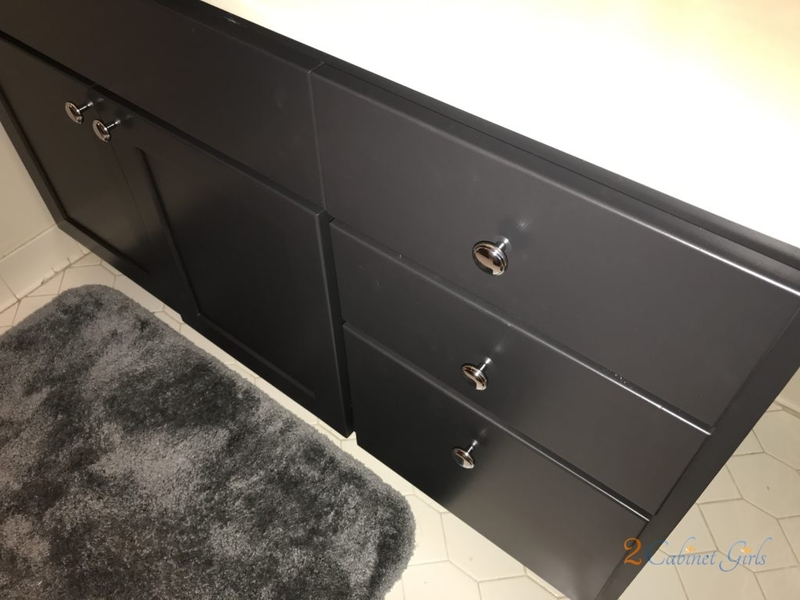 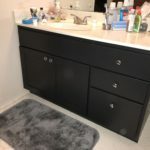 In this bathroom we painted it a chic black color, called Black Beauty. 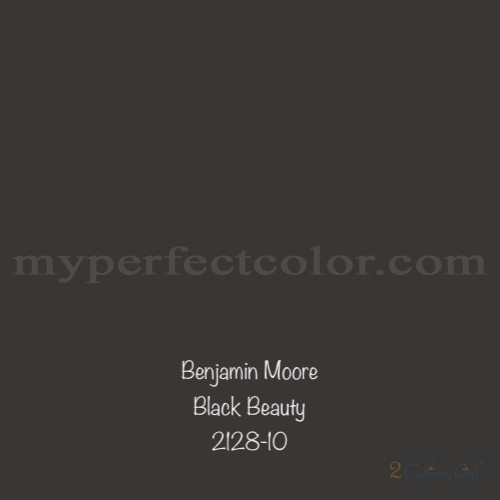 It’s a soft black…not too harsh. 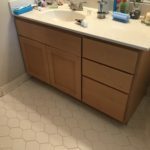 It’s the perfect backdrop for the solid white counters and white hexagon tile floor.